Bright.md, developer of a virtual care solution to improve efficiencies and reduce costs in the delivery of care for non-acute conditions, today announced that Greenville Health System (GHS) and Rush University Medical Group are improving patient care with deployments of the SmartExam™ solution. Bright.md’s cloud-based SmartExam solution acts as a virtual physician assistant, automating large pieces of the care delivery process, and enabling primary care providers to deliver remarkably efficient remote care online. With SmartExam, patients are able to connect with their primary care providers using their home computer or mobile devices, and quickly receive high-quality, evidence-based online care at a fraction of the cost of an in-person visit. SmartExam is currently in use with hundreds of primary care providers, serving millions of patients across the country. Last year, after a four-month evaluation of more than 30 vendors, Bright.md’s SmartExam was unanimously selected as the remote healthcare solution of choice by eight major health systems. GHS and Rush are both members of that cohort, and now are among the first of those health systems to implement SmartExam. 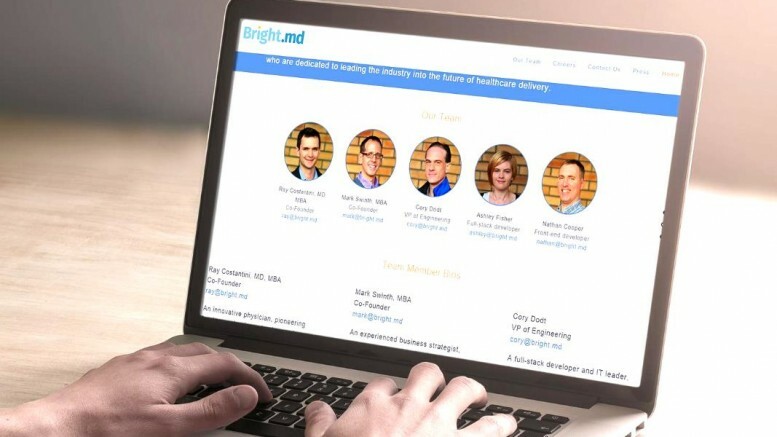 Bright.md has been identified as the market-leading solution to help providers deliver high-quality, low-cost, convenient care to their own patients. The company has experienced more than 300 percent growth in the last 12 months, been written up as a Gartner Cool Vendor in Healthcare, referenced as a sample vendor for the Transformational new digital clinical encounters category in the Gartner “Hype Cycle for Telemedicine and Virtual Care, 2016”, and were selected as Launch Stage Company of the Year by OEN, the Oregon Entrepreneurs Network. GHS, the largest not-for- profit health system in South Carolina, launched SmartExam in April of 2016 and has made the system available to more than 1.4 million patients. Rush is a top U.S. and Chicago health system, education and research enterprise, delivering not-for-profit healthcare through Rush University Medical Group (RUMG), made up of more than 500 physicians and over 500,000 visits annually, and a major academic health education university. Rush will be phasing in SmartExam to its patient population this year.